These are blogs I follow and find inspiring. 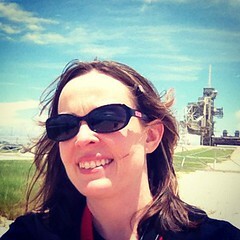 Venspired Learning: Blog of my friend and space camp teammate Krissy Venosdale. Krissy teaches 3-5 grade gifted students. azspacegirl: Another blog from a space camp teammate and friend. She is new to blogging, but she has amazing thoughts to share. Dear Team Kennedy: Yet another blog from a space camp teammate and friend. Love that so many of my teammates are blogging. Summer Space Adventures: My space camp teammate Kaci shares all of her space adventures, and she has many! Kevin’s Meadering Mind: Kevin teaches language arts and also focuses on gaming the classroom. He always gives me things to think about. Miss T’s Reflections: Kathryn Trask shares great book reviews. I’m always on the look out for great book recommendations. Love2Learn: My dear friend Malyn Mawbry’s blog. 10 Minutes: Malyn and I challenged each other to complete the 2012 Sketchbook Project. This is hers. Mrs. McGriff’s Reading Blog: Another great site for book recommendations. Blogging through the Fourth Dimension: Pernille Ripp’s blog; she has such amazing ideas and thoughts to share. Reflections of a Techie: Posts that often challenge my way of thinking. I like when that happens. Hope is the Thing with Feathers: My blog from the 2012 Sketchbook Project.